Sis, get in here. We need to talk about combing cream and your length goals. Fall is officially here, and colder months always kick off protective styling stints, and more vigilant care in hopes of acquiring a few inches before spring. I'm right there with you. I'm finally ready to call my hair 100% free of hair color damage, and it's about that time to start adding inches. In my quest for hangtime, I've decided to incorporate a new product from Zotos Professional - the 180PRO Length Revival Combing Cream. What is it exactly? How does it work? And where does it fit in your regimen to promote growth? Don't worry, I got you. Let's dive in and break down this game changer for #lengthgoals! 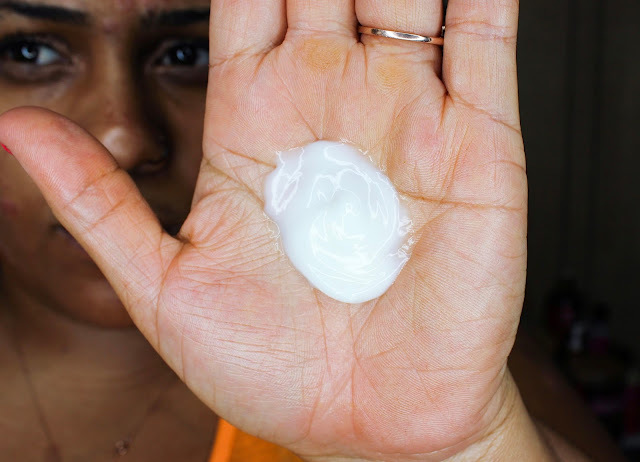 Combing cream is a multi-use, lotion-like product that serves several functions in a natural hair routine. 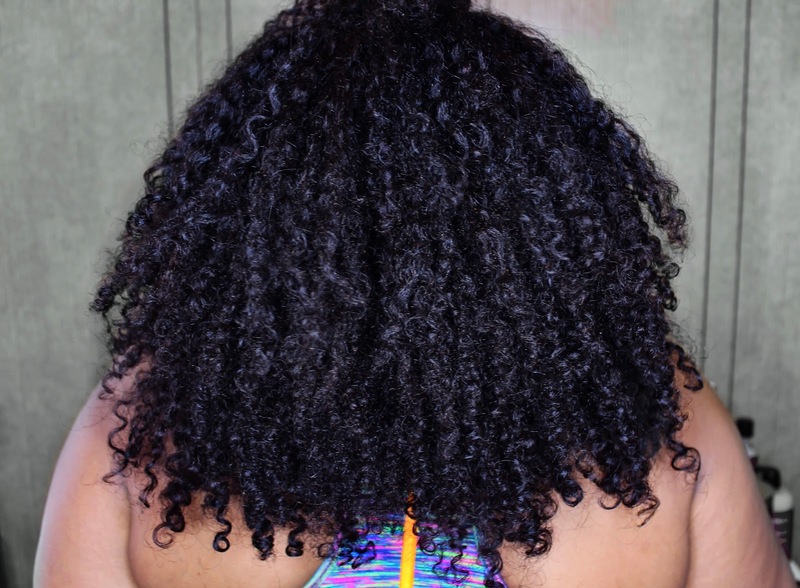 Borrowed from the women of Brazil, combing cremes have gained popularity among naturalistas in the US thanks in large part to how flexible and effective it is. Combing creams are known for having intense slip, which reduces the friction against the hair to make detangling a breeze. They're also known for their moisturizing and frizz fighting properties. Where Does Combing Cream Fit in My Natural Hair Routine? Between pre-poos, shampoos, co-washes, rinse-out conditioners, deep conditioners, oils, rinses, moisture mists, refreshers, balms, butters, and edge controls - the average natural's regimen is packed full of product. But what if I told you combing cream could easily replace 3 products in your regimen? Yes ma'am! It surely can. If you're not pressed for length, but want to reap the benefits of replacing a few products in your regimen with one powerhouse product, jump ahead to the video breaking down the 3 ways I use 180PRO Length Revival Combing Cream. But if you're on a hair growth quest, let's get down to the nitty gritty. When it comes to maximizing healthy hair growth and achieving length goals, there are two major factors - actual hair growth from the scalp, and length retention. Personally, I believe length retention is more important than the actual rate of hair growth - and here's why. Often times, when we feel like our hair isn't growing, length retention efforts (or lack thereof) are to blame. When we focus too much on increasing rate of growth and don't give enough attention to proper maintenance, the hair we did grow ends up breaking and keeping our length stagnant - creating the illusion that our hair isn't growing. These four will have your hair RIGHT! My philosophy - barring major medical conditions, our hair is going to grow. Proper maintenance and care will ensure the growth is visible. And this is where 180PRO Length Revival Combing Cream is about to change the game. 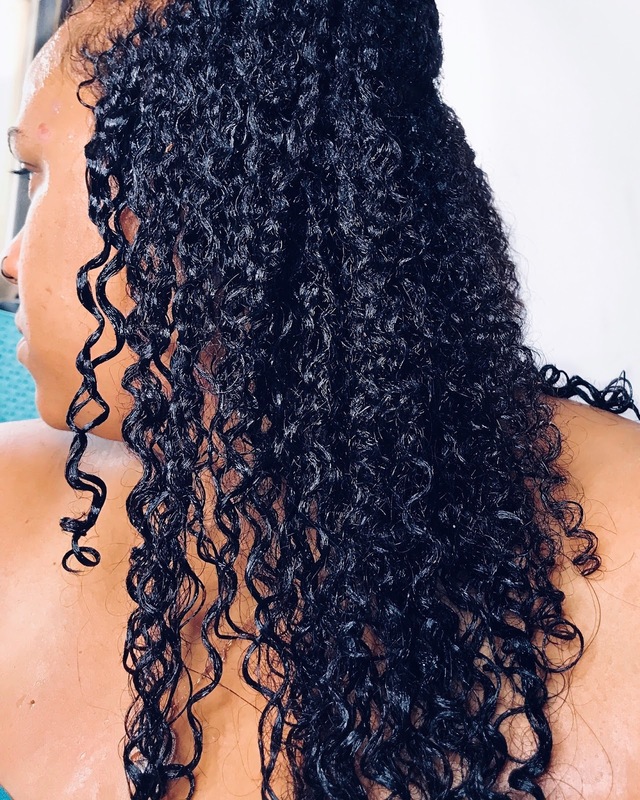 It's no secret that our kinks, coils, and curls are structurally weaker than straight hair - hence how we comb, brush, style, and handle our hair gently (or at least, we're supposed to). Look at a peice of your hair in the mirror. Did you know that each bend along the strand is a structural weak point and hotspot for breakage? And detangling is where our hair is the most vulnerable. 180PRO Length Revival Combing Cream eliminates the fuss and drama notoriously associated with detangling our natural hair. 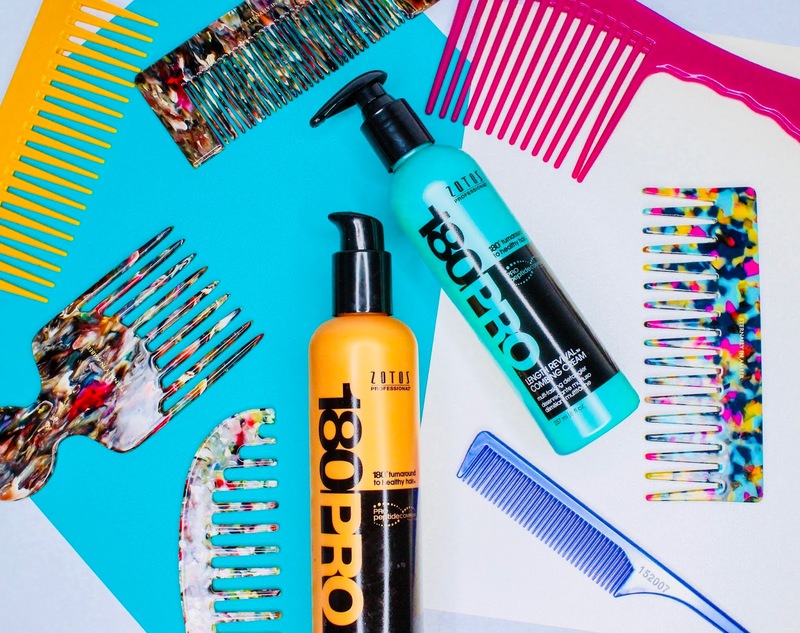 Whether you use a comb, brush, or your fingers, combing cream lubricates and coats the strands with lightweight moisture and slip - protecting the hair from damage caused by friction during detangling. In addition to moisturizing, softening, detangling, and priming the hair, 180PRO Length Revival Combing Cream works alone or in conjunction with the Length Revival Shampoo, Conditioner, and Miracle Repair Damage Eliminator to fortify and strengthen hair that is prone to breakage, dryness, and damage. This is major for naturals experiencing increased breakage and thinning due to excessive use of heat or color. As a rule of thumb, I always detangle before shampooing. 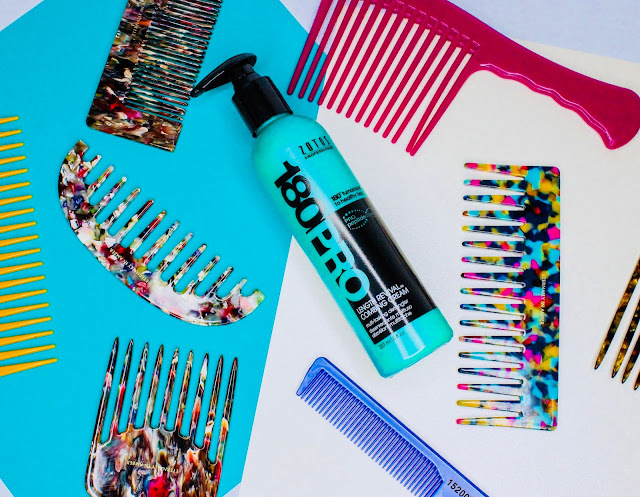 Even the slippiest shampoos sometimes can't safely unravel all of my tangles, and detangling prior to sudsing helps ensure a fuss-free wash day. 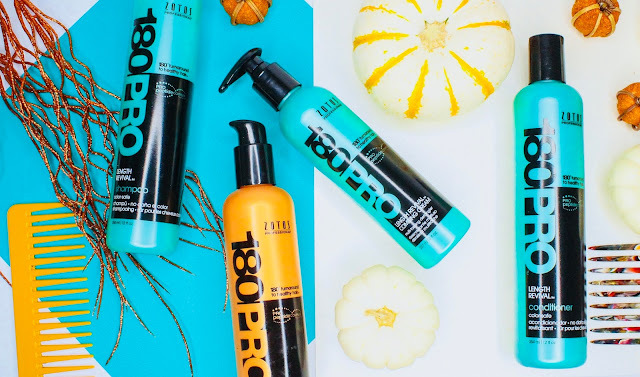 Because the 180PRO Length Revival Combing Cream is packed with slip, it lubricates the shaft of the hair, allowing strands to glide past each other and release tangles with ease. As a result, I'm able to manipulate my hair while shampooing without causing breakage and damage. Y'all know I love me a good leave-in. 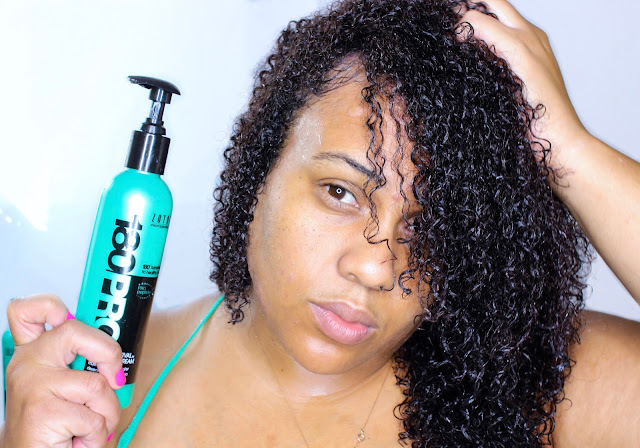 Leave-ins are a key ingerdient in the secret sauce of a great wash and go style. They help capture your curl pattern in it's most hydrated state, helping your curls ascend to epic levels of washing and going. For highly textured kinks, coils, and curls, 180PRO Length Revival Combing Cream offers lightweight moisture and continued detangling while capturing the curl pattern for styling. These two are a must-have for naturals who use heat often or have color treated hair. It involves Miracle Repair Damage Eliminator, which you guys know I love dearly. (receipts) As my primer and leave-in duo, I combine Miracle Repair Damage Eliminator and Length Revival Combing Cream because the two are formulated to work together - binding to the weakest spots along the hair shaft to prevent breakage. The Pro-Peptide complex proteins target and reinforce the hair's weakest points like a magnet of sorts, protecting against breakage while conditioning the hair. Basically, the two help my hair not break off - whether I'm combing, brushing, or letting it all hang out! Plus, I've found the two are incredibly gel friendly, mixing with some of my favorite gels sans white, goopy balls and flakes. Even if my hair isn't begging and screaming for moisture, I make it a habit to put something water-based on it on days 2, 3, 4, and sometimes 5 (if I let it go that long). Hydrated hair is less prone to breakage, and 180PRO Length Revival Combing Cream is lightweight enough to not make hair feel oil or greasy while hydrating, and enhancing shine. Plus, you still reap all the breakage-fighting benefits! Oh and here's a bonus - if you've got a bit of a gel cast still on day 2, you can use the combing cream to break it while leaving hair soft and not disrupting the curl pattern! The 180PRO Length Revival Combing Cream and the entire Length Revival Collection is available exclusively at Sally Beauty. Alright now, I done gave y'all the secret sauce. Check for me in April 2017 - my comparison pics are about to be pahhhhhhpin! What are you doing differently this fall to help retain length? Let me know in the comments below! This blog post is sponsored by Zotos Professional. Hi! Visit my blog about essays! Very helpful.